Meet some of the nicest, most compassionate people anywhere, trained to provide the best possible veterinary care for you and your pets. Our veterinary hospital is owned and operated by family and we want to make you feel just like family too! Our 30 minute pet appointments allow us time to really listen to your concerns about your pet’s health. Our veterinary clinic helps our pet community by donating free or discounted services to rescue groups every day. We offer full preventive veterinary care, medical, surgical, dental and emergency services for all companion animals. We appreciate your recommendation and offer discounts to our loyal clients and the new pet patients they refer to us. Thank you for visiting the Old Dominion Animal Hospital web site! Our Charlottesville veterinary hospital is here to meet all your pet’s veterinary needs. 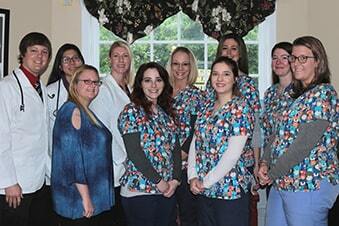 We invite you to learn more about us and the personalized care we offer you and your pets. Our website will provide you with photographs and videos of our veterinary hospital, but we encourage you to come by for a tour. We believe you will see how special we are and why our clients love us! "I began bringing my pets to Dr. Wood when he first opened ODAH at the original location. I am now bringing my pets to his son, Dr. Garrett Wood and have had the same exceptional level of care from both gentlemen. I enjoy meeting with them and know that my pets get the best possible treatment. Anyone looking for a great vet, I would highly recommend these folks. The staff is just as nice and accommodating as the Drs." "We have been taking our precious furbabies to Old Dominion Animal Hospital since 2005 aside from a brief stint when we moved 30 minutes away and tried a vet closer to our new home. You won't find a finer animal clinic in central Virginia which is why we came back and continued to entrust Dr. Garrett and his amazing staff despite the distance. 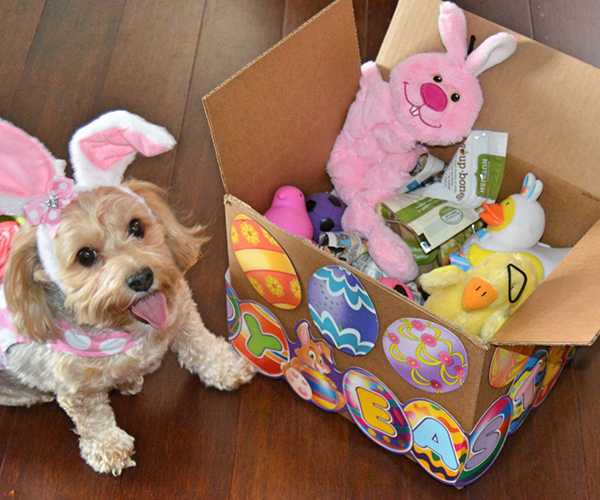 The care provided is exception and compassionate from your furbaby's first visit to the last. If you want the best for your pet - entrust their care to Old Dominion Animal Hospital." "I have been using Old Dominion Animal Hospital for 18 years. I cannot say enough about the kindness and care they provide. Dr. Kramer is the kindest and best vet I have ever worked with. She has treated my dogs like they were her own. Dr. Garrett Wood also performed surgery on my sweet Bailey and he as well was outstanding. Being a pet owner can be difficult but with the help of Old Dominion my experiences have been wonderful! I thank them from the depths of my heart - they are that good!" "I love bringing my cats here! All three of them love Dr. Chow - she's truly the best!" 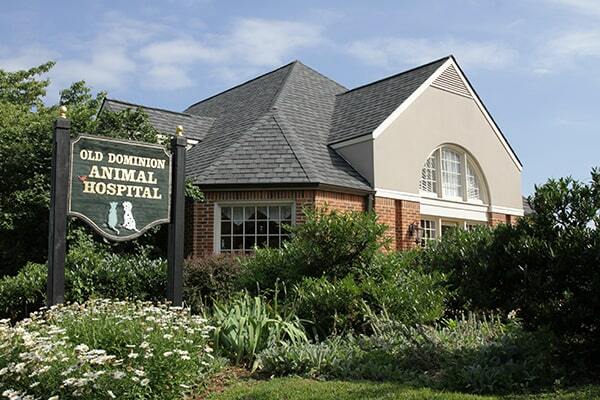 "I love Old Dominion Animal Hospital! I have been bringing my cats and dogs there for years and I highly recommend them. The front desk staff are always respectful, warm and welcoming, the Techs and Doctors are caring and gentle and treat all their patients as if they were their own pets." "Such a wonderful veterinary practice! My two rescue cats and first rescue dog had beautiful lives enhanced by the great care at Old Dominion, and the kindness and sensitivity when things came to the end for each was surpassed. Dr. Kramer gave my dog Gracie years more of vigorous life by treating her Cushing's disease so carefully. Now I have a new rescue dog whose ailing eyes have been turned around by her careful diagnosis, and whose longstanding issues have all been addressed so well. She acts like a puppy now. The whole office is[read more...]"
Manage Your Pet’s Healthcare Online! Use our online tools to take care of your pet’s health conveniently from home!